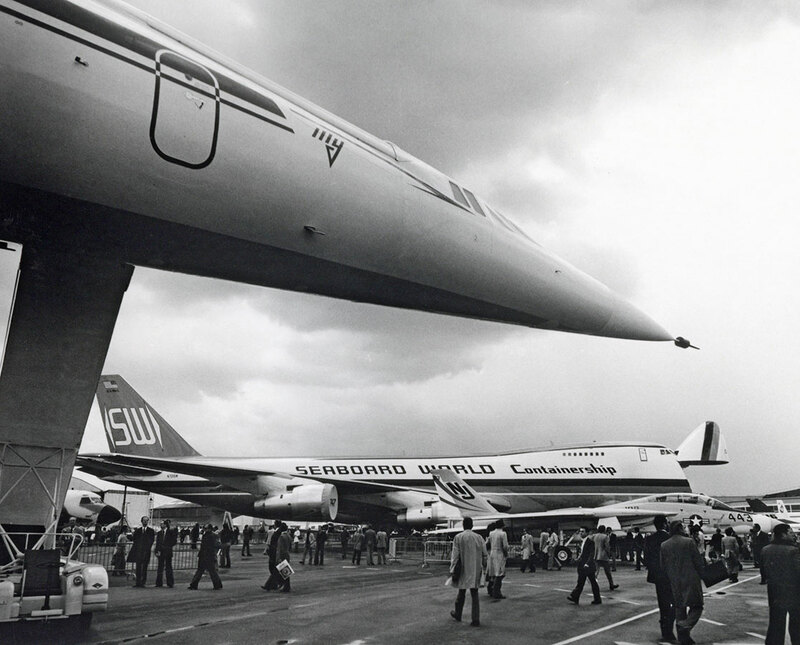 N701SW at the 1975 Paris Air Show, framed by a Russian TU-144 supersonic transport. 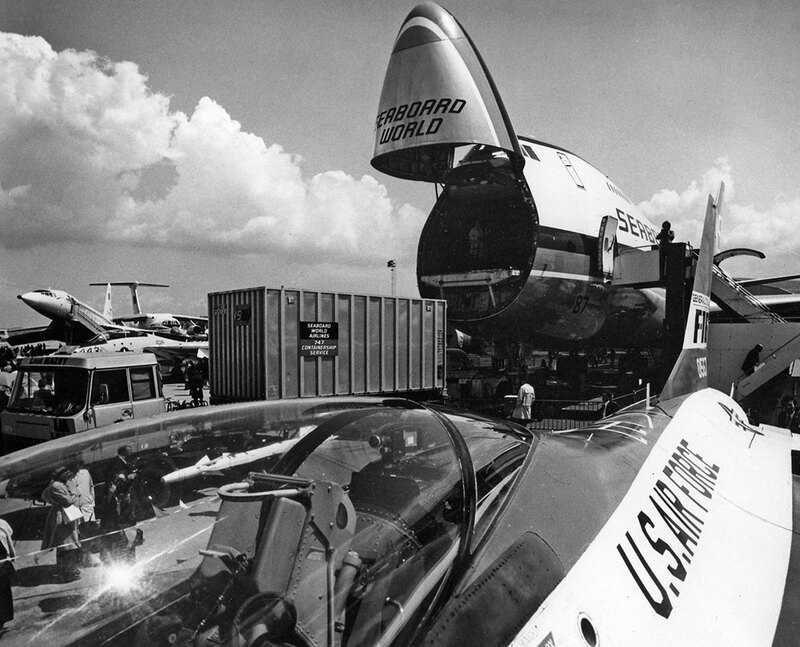 View of open nose door with 20-foot container. 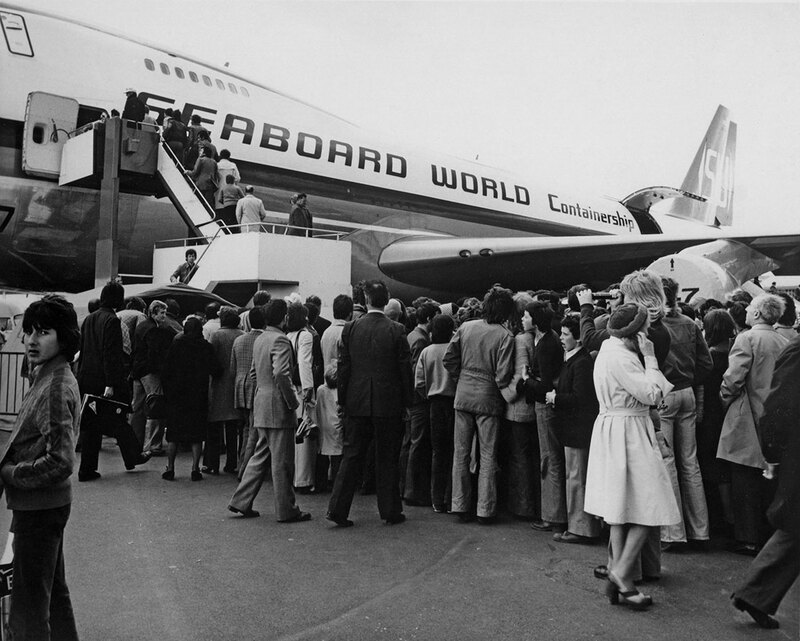 Crowd waiting to see the interior of the B747F. 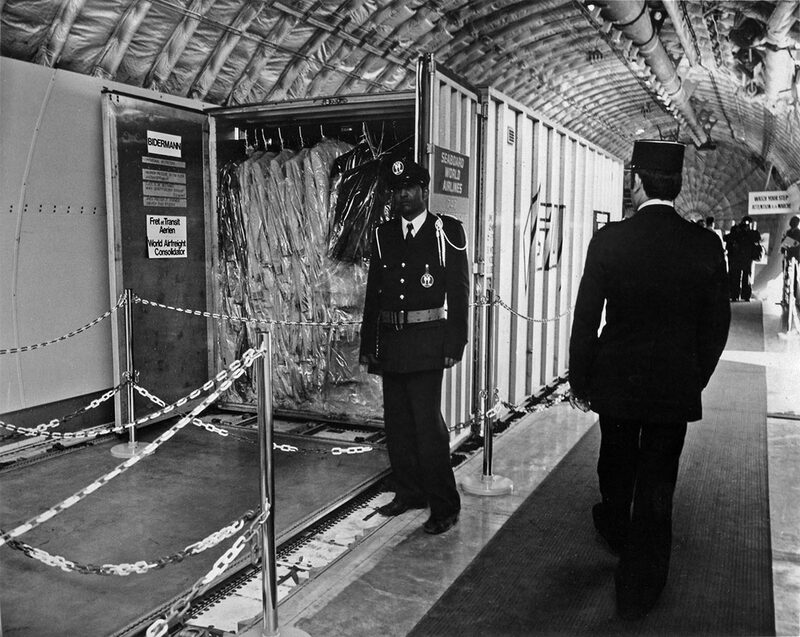 Interior of the B747F showing different types of air cargo containers. 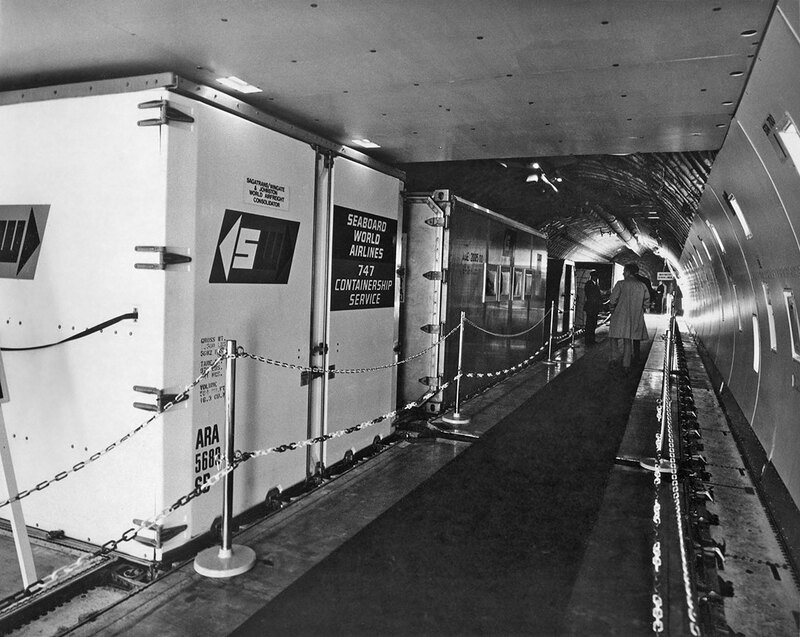 20-foot container open to show how clothing can be shipped. 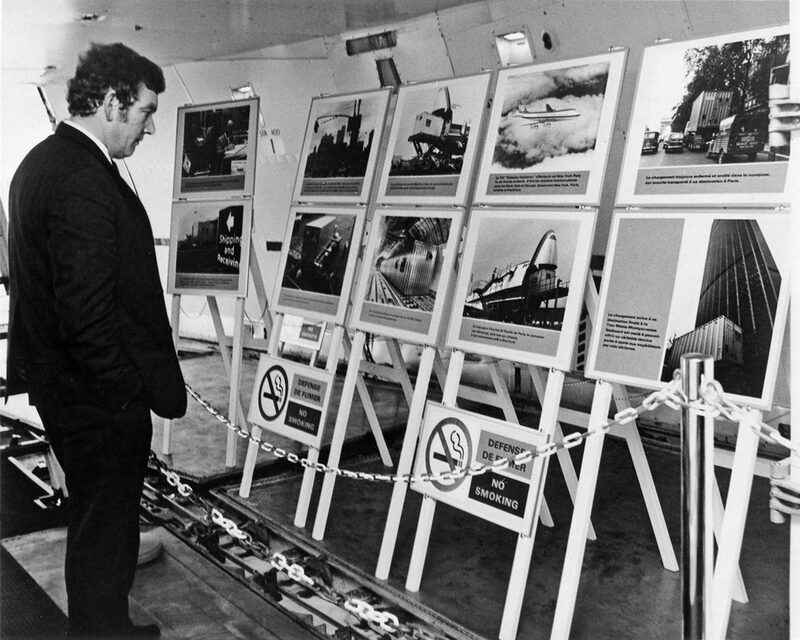 Exhibit inside the aircraft of photographs. 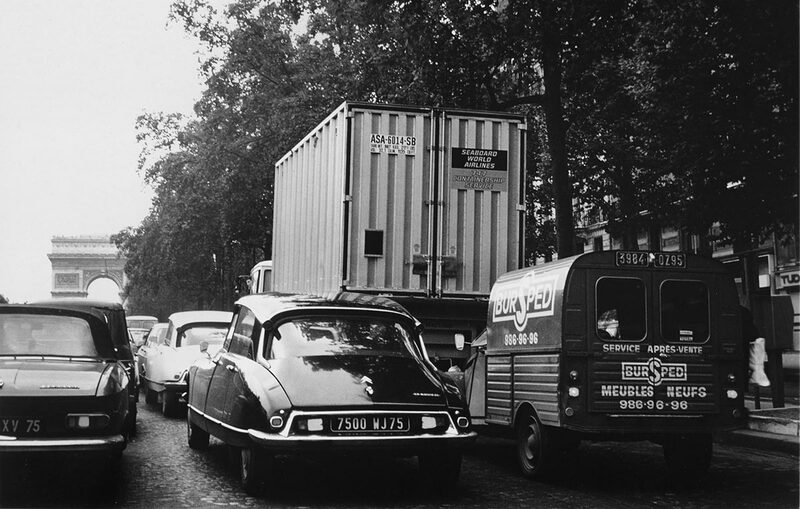 20-foot Seaboard container traveling through the streets of Paris.